LAGOS -- Apr. 26, 2018 -- TradeDepot, the innovative SaaS platform for FMCG distribution in Africa, announced today $3 million in funding. Partech’s recently launched Africa Fund led the Series A round which will support the expansion of TradeDepot’s footprint in Nigeria and development in other countries. Since its founding in 2016, TradeDepot has successfully developed a 360° solution integrating all participants in the trade value chain: manufacturers, distributors and retailers. The solution quickly convinced first rank FMCG companies and has been deployed all over the country in distributors’ warehouses. Through TradeDepot’s platform, small retailers have a real time view of all prices and discounts available from every major brand; they can directly order products which are then delivered to them as the order is routed to the appropriate nearby depot. At the same time, manufacturers have full visibility over their distribution and can leverage the platform to optimize deliveries to their distributors, improve their pricing and have a direct channel towards their end-retailers. “This first external funding round was critical for us: we have proven that there is a strong demand for such a distribution platform among consumer goods companies and retailers in emerging markets, and we now wish to use these funds to support our growth strategy,” said Onyekachi Izukanne, co-founder and CEO of TradeDepot. “For a very long time, consumer goods distribution in emerging countries with millions of small and informal retailers at the end of the supply chain has been very poorly addressed by existing tech platforms. We want to change this status quo: in Nigeria alone, this $340bn market loses more than $4bn every year due to a lack of visibility and the resulting waste in logistics, making retailers in African countries subject to some of the highest product distribution costs in the world. Our goal is to enable every convenience store in Africa to consistently receive their supplies at the best possible prices; to be THE supply partner for Africa's retail outlets”. “At Partech, we are strong believers in tech platforms that digitize the huge informal markets that are present in Africa. TradeDepot is one of them: they are addressing the largest market in Africa, that is today 98% informal and 99% offline. The opportunity there is massive.” said Tidjane Deme, General Partner at Partech. “Partnering with TradeDepot was a no-brainer for us after the first meeting. We were fully convinced by the founders’ vision, their strong understanding of the market and their ambition to transform this industry. The deep market experience of Kachi, Michael and Ruke has proven to be very efficient in their first two years of development and we are extremely proud to come onboard and support them in this next phase of growth”. To learn more about the TradeDepot platform, please visit www.tradedepot.co. TradeDepot is an integrated SaaS platform for Consumer Goods distribution in emerging markets. Headquartered in Lagos, the Company offers a full product suite for FMCG companies, distributors and retailers, delivering visibility and control over the route-to-market for manufacturers, inventory and logistics optimization for distributors and on-demand ordering and delivery for informal retailers. 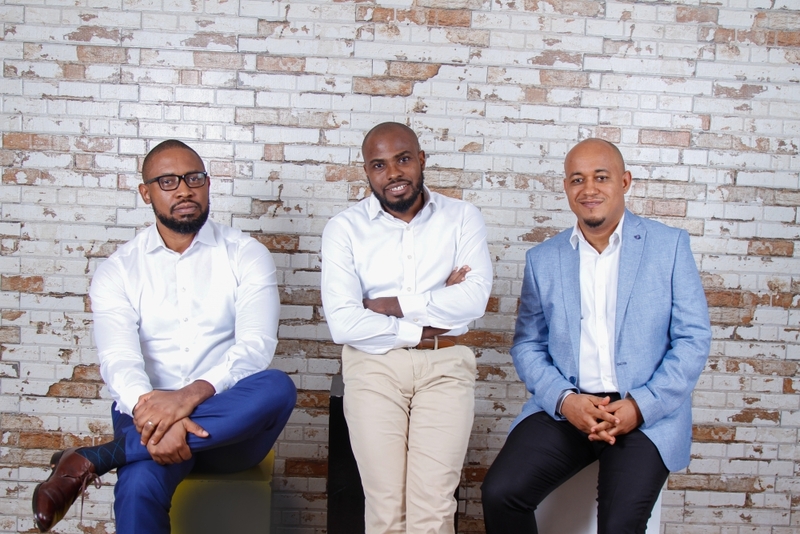 TradeDepot was founded by Michael Ukpong, Onyekachi Izukanne, Ruke Awaritefe in 2016 with a mission to build the engine of retail distribution in Africa. Partech is a global investment firm with offices in San Francisco, Paris, Berlin and Dakar. We bring together capital, operational experience and strategic support for entrepreneurs at seed, venture and growth stages across multiple continents. Investments range from €200K to €50M in a wide range of technologies and businesses for enterprises and consumers. Partech announced in January the launch of Partech Africa, the VC fund dedicated to digital champions with Pan-African ambitions. With a target size of €100M, this fund will focus on Series A and B rounds in industries ranging from financial inclusion (Fintech, InsurTech, new distribution models) to online and mobile consumer services (commerce, entertainment, education, digital services), as well as mobility, supply chain services and digitization of the informal economy.